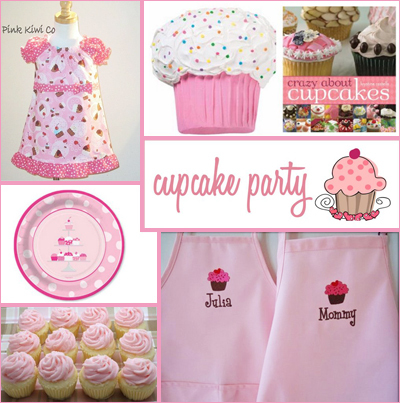 A cupcake birthday party is a fun and fabulous theme for girls of any age, especially when you combine your daughter’s love of cupcakes with her favorite color as the inspiration behind the party planning. In our house, pink is the color of choice! If you enjoy planning parties like I do, then you definitely want to go all out with your decorating. The invitations are the first step. Invitations set the tone for the party. 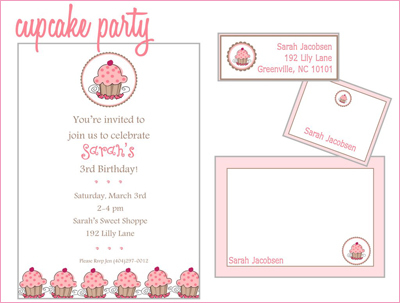 Here is an adorable Cupcake Invitation that you can customize in your color of choice. You can also purchase address labels, thank you stationery and party favor stickers that all coordinate. Don’t you love that?! this is such a great idea! I can't wait to do it!